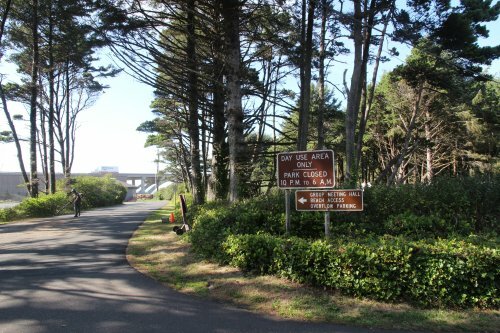 Hwy 101 mile marker 134. 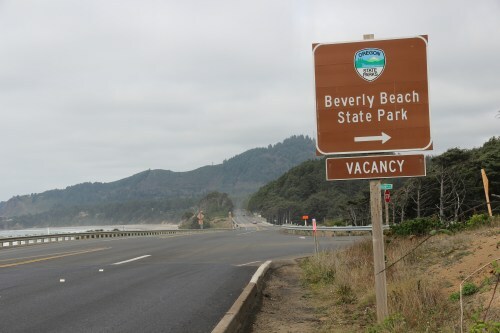 Beverly Beach is a large park with numerous park benches, a large visitor's center, camp sites, RV hook-ups, and beach access. 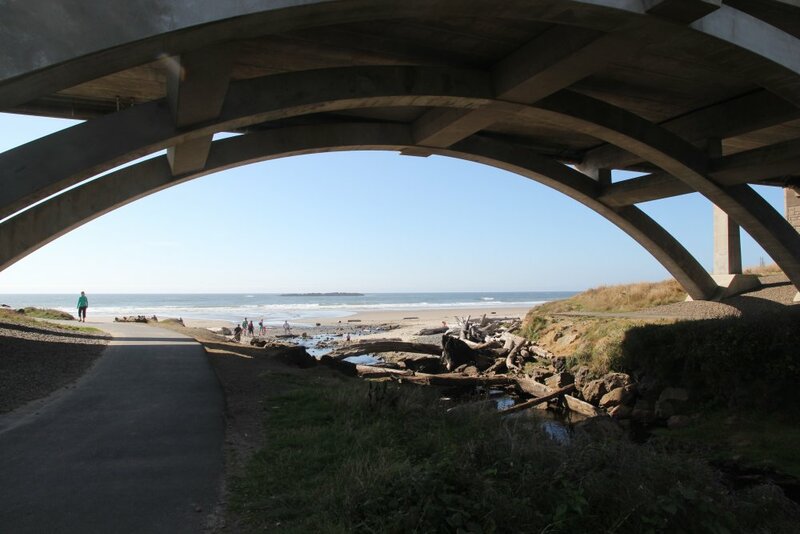 The beach area is reached by crossing under a large arched bridge which serves Highway 101 traffic. 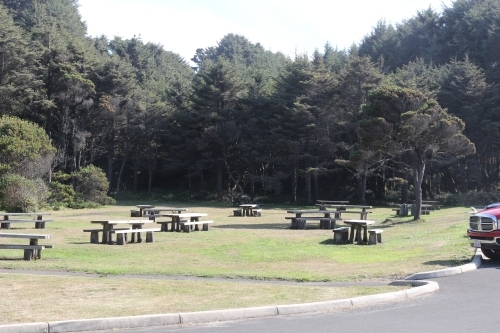 The park area also serves as the "Mid-Coast District Office", which is contained in a separate building. 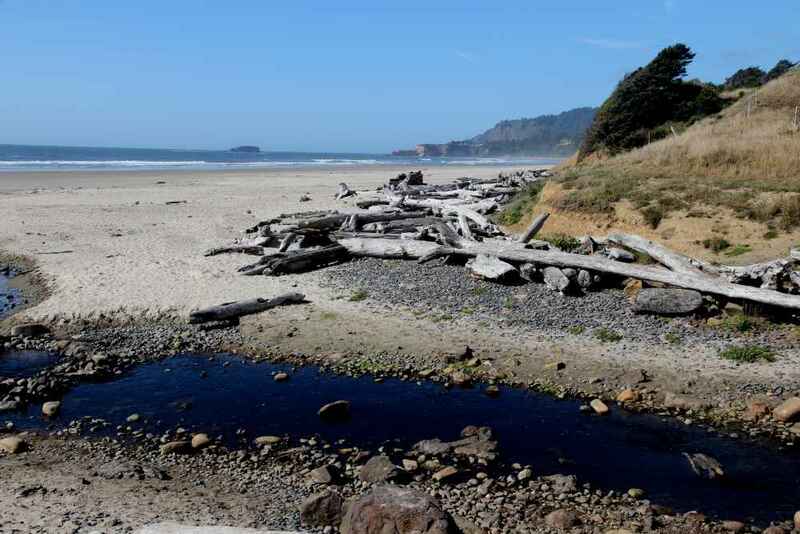 Oregon Parks link:Beverly Beach No day use fee. 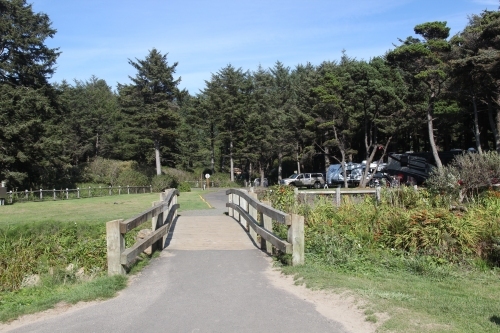 The park is on the East side of highway 101. So you go under a bridge to get to the beach. Here's a view to the South. 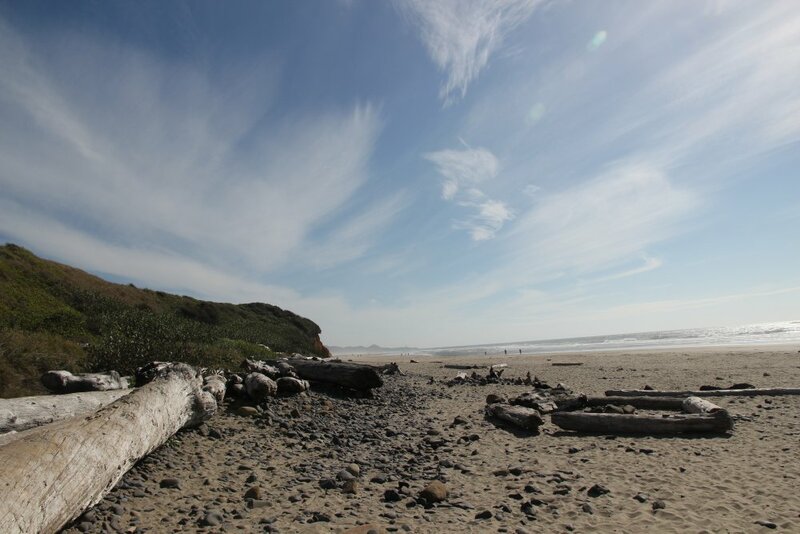 In the distance is the peninsula containing the Yaquina Head Lighthouse. Here's the view to the North..